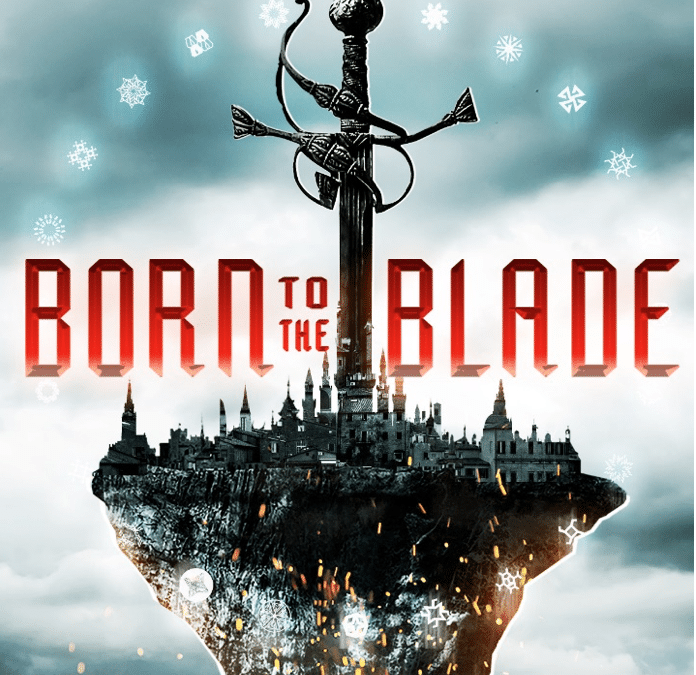 Recently, Publisher Melanie Meadors and Editor in Chief Alana Joli Abbott got together to chat about a serial they’re both reading: Born to the Blade. Alana: So, Melanie, how did you feel about Born to the Blade? Melanie: Wow, I have to say, I knew it would be cool, because I’ve read Michael R. Underwood’s work before, including what he contributed to Hath No Fury, but this was pretty awesome—it was even better than I expected! (I mean that in the best possible way, Mike, if you are reading). It reminded me of something along the lines of Avatar:The Last Airbender and Game of Thrones, if you can wrap your mind around that. Alana: It does! I’ve been following the Serial Box serials since their first project, and this is a great new addition to their library. It has some of the familiar things I’ve liked in their previous projects: strong characters and great world building, right from the get-go, for example. Melanie: Yes—and it’s no easy feat because we get to know a few characters in this first part, but they all have strong voices and unique views so it works. I was nervous I’d forget who people were, but I didn’t, really. Alana: The setting is really well established from the beginning as well. The first episode opens with rebels from Kakute freeing their exiled and imprisoned leader from prison. There’s the instant set up between the good rebels and the evil, conquering empire. But pretty quickly, that expectation comes into question. We meet Michiko, a bladecrafter, who is dedicated to serving that empire. Melanie: And that mysterious Golden Lord of Kakute…wow. Alana: His introduction is fantastic, and Mike sets up a twist that takes the whole episode in a different direction than I expected by the end. Melanie: Yes! And let’s face it—I can’t quite tell how I feel about Lavinia, but what a badass character. Alana: No kidding! Lavinia is the representative of the Empire in Twaa-Fei, a neutral nation where the best bladecrafters from the various nations meet to solve international matters, to the best of my understanding. And in this episode, she takes on two fellow Warders in combat and wins handily. She’s amazing. Melanie: Yes. And the best thing is, you are kind of kept wondering throughout the entire encounter. You think you know how things will go, but you don’t KNOW. Alana: And the combat, which mixes swordplay and magic in a really satisfying way, is beautiful. I could almost see it. Melanie: YES! I absolutely loved that aspect of it, that’s where I was thinking of the Avatar: The Last Airbender comparison. The other thing is that the fight and action scenes seem to last just the right amount of time. They are suspenseful and keep you on the edge of your seat, and don’t drag on. Lots of nice details so you feel you are there. Alana: If you have a chance, you should listen to the audio version, narrated by Xe Sands. Serial Box is doing enhanced audio, which mixes sound effects into the narration seamlessly. It really grounds you in the narrative, and it’s used so well here. Each of the sigils, the spells created by the bladecrafters, has a ringing sound that’s both magical and metal. Melanie: Yes, I actually listened to a little bit of it, so I would get the experience, and I did notice the sound effects—what a cool addition to the story! Alana: Xe does a great job distinguishing the character voices as well. So Ojo, who is an elder Warder and a bit of a rebel in his own right, comes across with a gravitas that youthful Kris, who is going to be tested to earn a place for their nation among the Warders, doesn’t yet have. Speaking of Kris, I immediately thought of what a cool setting this would make for roleplaying as well. Kris’s nation has the inborn trait to change gender; Michiko’s nation can speak to their ancestors. How cool would it be to pick a heritage like that for an RPG? Melanie: I agree!! And some parts of it, with the casting of spells and so forth, really seemed like it would translate well into a game as well. Alana: With the ending twist from episode one, I’m really excited to listen to episode two–which came out today. Melanie: Yes, definitely. I’m really intrigued by this world. And I appreciate that there are characters of non-binary genders, and sensitive use of pronouns as well. Melanie: I think authors and publishers are becoming more aware of how important it is that the voices of everyone can be heard. I also love the mixture of cultural influences as well. Alana: I feel like they’re going for something that feels like Asian influence, but Lavinia feels very Roman Empire in some ways. Melanie: Yes, I think there are Roman influence with the Empire side for sure. I think this is a progressive and different story, but people who like a standard fantasy tale will be very pleased with it as well. I mean, I think they really pulled off something great here. Alana: And this week’s episode is from Marie Brennan, who is a frequent Outland contributor at this point, so I’m excited to see where she’ll take it! Hi Guys! I’m the audio producer and the creator of all the sound effects and music. Glad to hear you’re enjoying! Keep Listening!